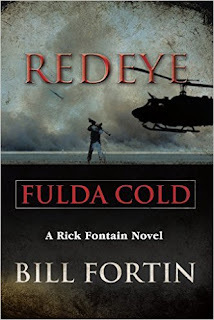 Rick Fontain tells us about his exciting adventures through a first person narrative that allows the reader to travel with Rick from his initial induction into the army, following him on his journey where he and his team are stationed near the Fulda Gap to prevent an invasion or attack from Russia. As a reader, I felt that I could connect easily with Rick on his incredible journey as he takes you by the hand and doesn’t let it go until the last page. Fortin does a remarkable job of describing the people and the landscape of the late 1960s, while throwing more light onto the tactics that the American military deployed to contain Russia in the Cold War. I certainly hope that this isn’t the last we have heard from Rick Fontain, and do hope that there is a sequel in the near future, as I cannot wait to read more of this young hero’s adventures and more of his infectious good humour. Finally, I would also like to add that Fortin has put together a remarkably well written story with a vast amount of meticulous research and footnotes that detail the timeframe of when and where things take place. I found this to be tremendously helpful as it strengthened my understanding and added to my reading pleasure. The authors expose corruptions within the international financial aid organisations and their arrogance and general superciliousness towards their third world ´clients´ and research the impact it is having of being the recipient of substantial financial aid from the west. This book also questions whether or not, the International Monetary Fund, World Bank, USAID and many other large international aid organisations help or counteract the world’s poorest people. 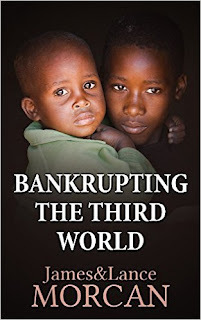 With numerous research and invaluable references, the authors present what is wrong with the aid industry and equip readers with an underground knowledge to question why these barbaric aid policies of Western Governments, private companies and central banks are in place. 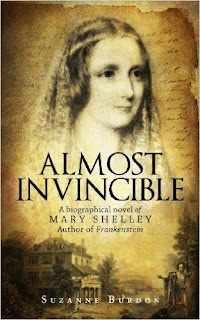 Almost Invincible is a fictional telling of Mary Shelly’s life based on true events. The story opens on a stormy and turbulent night in the summer of 1816 at Lord Bryon’s villa in Lake Geneva. Lord Byron challenges all his guests, Shelley, Claire Clairmont, Mary and Dr. Polidori to write ghost stories and this is where Mary produces a terrifying story that will later become, Frankenstein, eventually assuring Mary a permanent place in literary history. 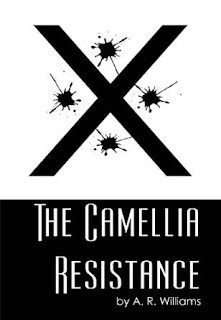 The story then goes on to document Mary’s ignominious love affair with Percy Bysshe Shelley, who is married with children at the time of their elopement and follows the couple around England, Switzerland, France and Italy, where they experience a number of traumas such as being ostracised due to their controversial life choices, financial worries and the death of their children, and Mary’s manipulative step-sister, who drives Mary to despair on many occasions. Burdon has crafted a beautiful story full of adventure, strength and survival of a real-life heroine who despite suffering with misfortune in her life is one of the most influential female geniuses of her time.